Meet our bar director, who believes in all hand crafted cocktails, fresh ingredients and putting your heart in each pour. 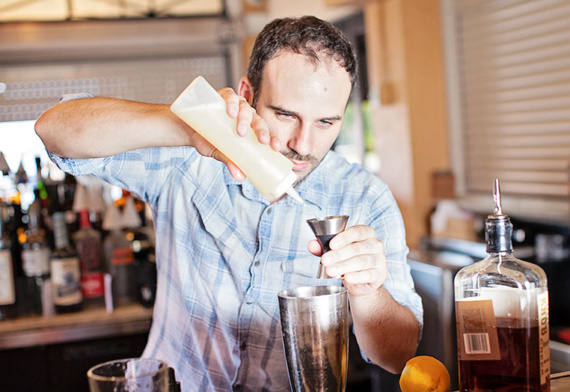 Francesco currently brings the family touch and hospitality by managing their Davinci’s location in Boca Raton, Fl while directing and creating each concepts cocktail list. He is excited to revive the charm of classic Cocktails at the newest Carvelli concept, The Oyster Society. Francesco Serravalle, originally from Italy, has a great passion for wine. When young, he was helping his father in the winemaking process every year. The smell of fresh grapes being crashed to make grape juice, it is something that bring beautiful memories to Francesco when growing up.